Located only 20 km from Fairlie, Pioneer Park is a wonderful hidden gem of the Mackenzie Region. 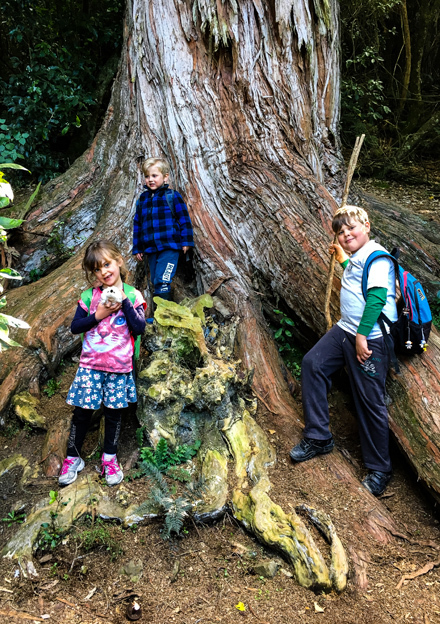 Camp, picnic, walk, swim and explore – there is plenty to keep the entire family entertained! 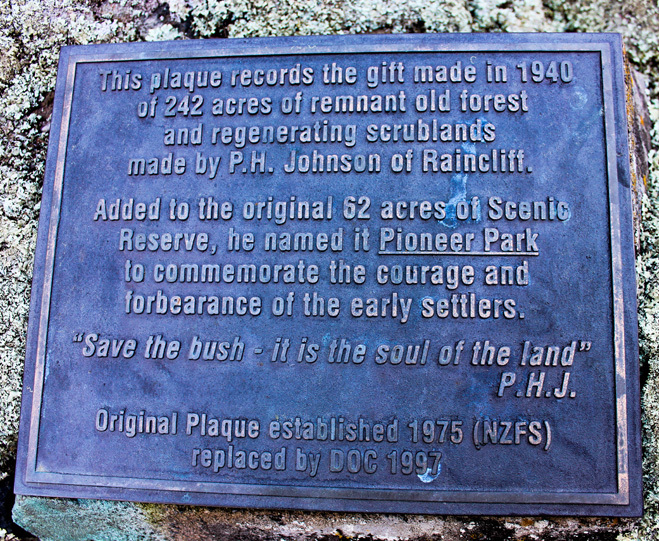 Pioneer Park is a 390-hectare conservation area with a variety of native and exotic trees. The name is in honour of the pioneer families who settled in the area, “to commemorate the courage and forbearance of the early settlers”. In addition to tent sites there are also picnic tables, toilets, and two walking tracks. Easy walk with a stream crossing. 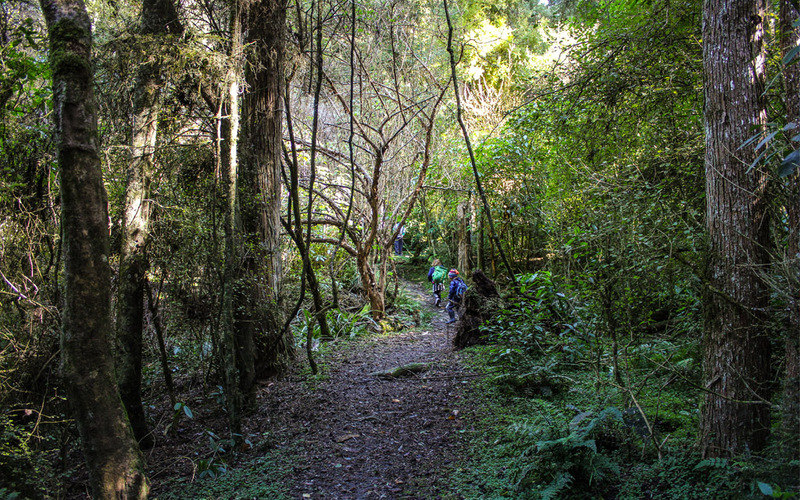 This loop track starts from the campground, crossing a small stream and then gently climbing to a ridge where there are large Kaikahikatea and Totara trees. 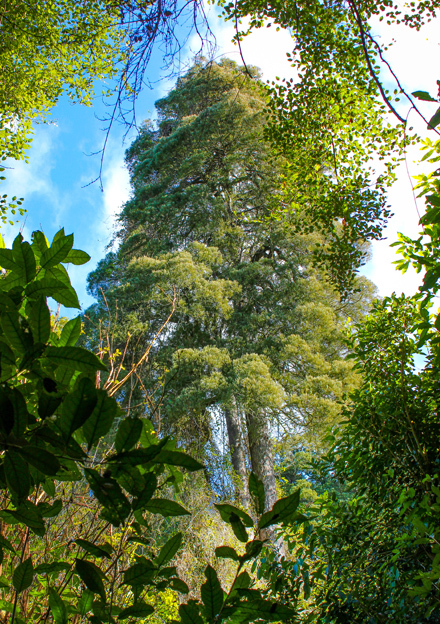 The most impressive is a stately Totara about three metres in diameter. 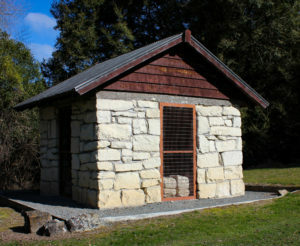 The track then returns via the Burke Hut memorial. Easy tramping with stream crossings. 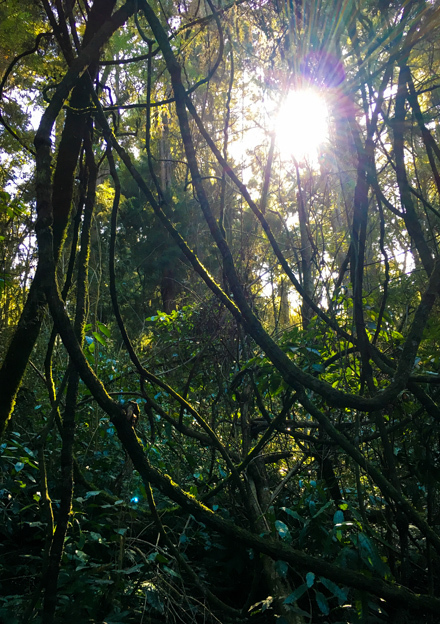 This track starts from the campground and climbs through regenerating native bush and then through introduced forestry trees. The return leg drops steeply into a native bush gully and zigzags (seven times) across the stream before meeting the original track. A left turn takes you back to the campground. William Burke was the first settler to drive a bullock cart over the pass (which now bears his name) into the Mackenzie country. Within the reserve, a chimney within a protective shelter is all that remains of the slab and daub hut he built there in 1885. Pay cash on arrival at the self-registration stand. There are 40 non-powered tent sites, along with picnic tables and toilets. No dogs are allowed. At the entrance to Pioneer Park, turn right onto Middle Valley Road. After about 3 km, Raincliff Historic Reserve is signposted on your left. For around 800 years these limestone rock shelters provided temporary refuge for small groups of Māori as they passed through the area. They used charcoal (black), or red ochre mixed with oils and fats to draw on the roof and walls. Over time, weathering has removed most paintings. The site is still worth visiting to recapture a sense of early Māori. At Pioneer Park entrance, turn right onto Middle Valley Road. There is parking on the verge just before Raincliff Bridge where a track on the western side leads down to the river and a good swimming hole.